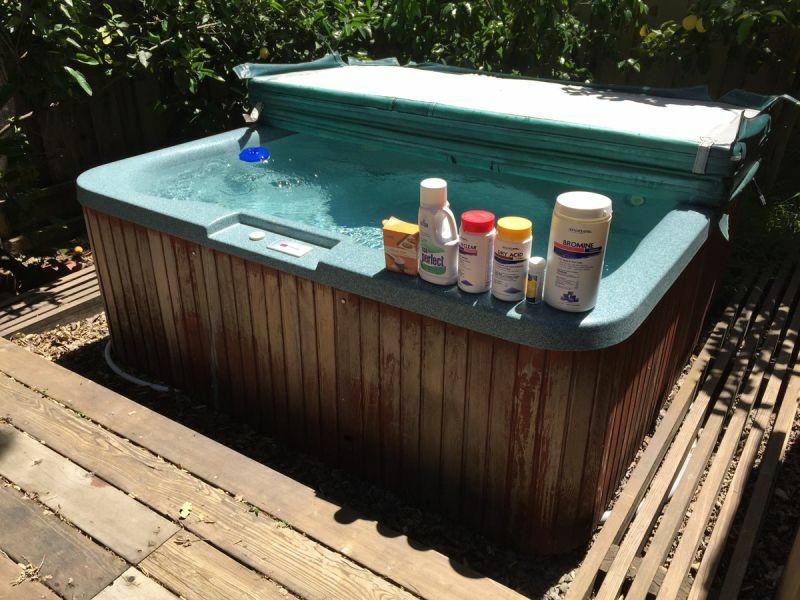 Best way to balance a hot tub is with small adjustments, retesting after 20 to 30 minutes. Be sure to consult the safety instructions on all chemicals you use. Using 4-way test strips, test the water. Start by balancing pH with a target pH level of 7.2 to 7.6. If the pH is high, dissolve Dry Acid (sodium bisulfate) into a bucket of water then add it into the spa with the circulation running. If the pH is low, add a bit of Baking Soda to the tub with the circulation running. Make smaller adjustments to balance the Total Alkalinity to 80-120 PPM (parts per million). Getting the Total Alkalinity correct will hep maintain your pH, however it's accuracy is less important than pH. If the Bromine level is low add a few Bromine tabs to the dispenser. If Bromine is high, add humans. After using the spa, add a bit of Spa Shock to release the Bromine. Once in a while add an enzyme product such as Spa Perfect to prevent scum lines and reduce odor.